Many of us know people who have cancer, have lost their battle with cancer or have beaten this terrible disease. 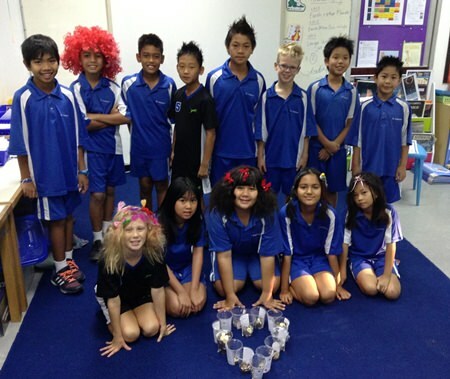 On Wednesday 4th February students, teachers and parents supported World Cancer Day by filling cups with coins whilst sporting crazy hair styles for the day. This initiative was organised by Sue Martin, Head of Early Years and was seen as a positive and proactive approach to raise awareness for cancer. 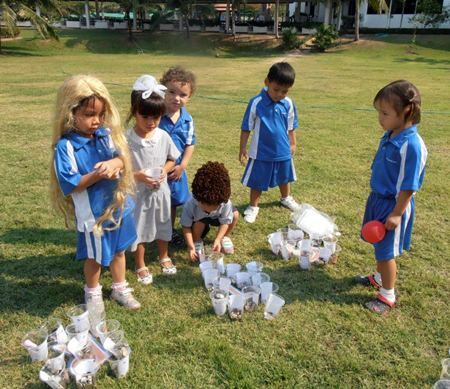 Students and staff from all sections of the school helped to stick logos to cups; advertise the event and sort and count the coins. Many tutors shared information about cancer and in the younger grades, students participated in open discussions and books were read to enhance their understanding. It was a good day for SAGV but the real winner was raising awareness about cancer. 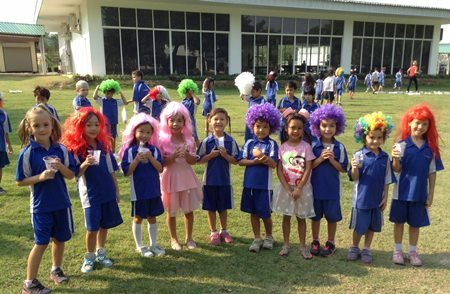 Incredibly, the school raised over 60,000 baht which will be donated to the Union for International Cancer Control (UICC). This global organisation works to support the studies of doctors and researchers to find more effective treatments, preventive screening strategies and more effective cures for cancer. St. Andrews School community is committed to supporting others less fortunate than ourselves and showing the wider community that we care and are always ready to help. Our Community Action Service programme is an integral part of the school curriculum and students throughout the school learn how to plan, organise and run these charity events. Students from all age groups brought their loose change in. There’s no raining on our parade!